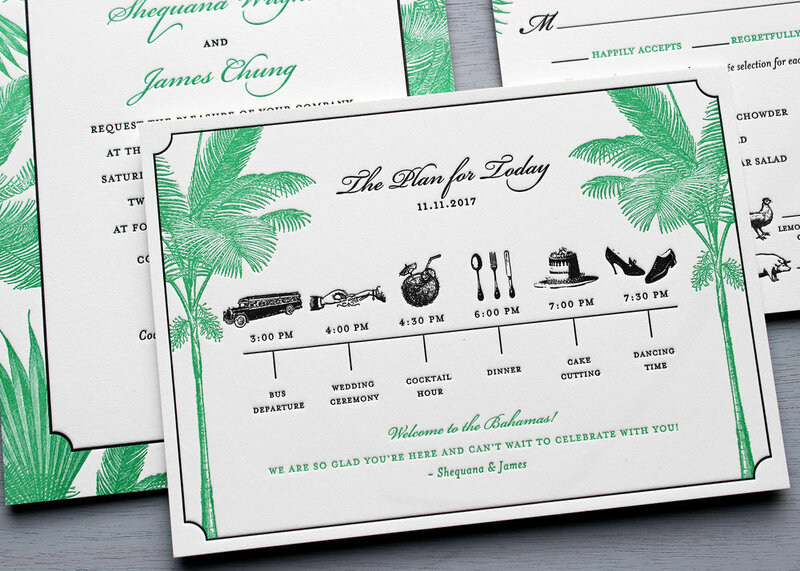 We love designing wedding itineraries like this playful one for James and Shequana's destination wedding in the Bahamas. They wanted to give their guests an easy to read schedule for the wedding day events. Its a fun extra piece to include in a welcome bag, and is a great reminder of the itinerary. The palm design from the letterpress wedding invitations was added to this card for continuity. We love seeing getting a glimpse of our clients' weddings! After collaborating with them and discussing many details of their event, it feels really satisfying to see the happiness on their faces on their wedding day. Here are some photos of our invitation design and the gorgeous details from Mackenzie and Mike's destination wedding. 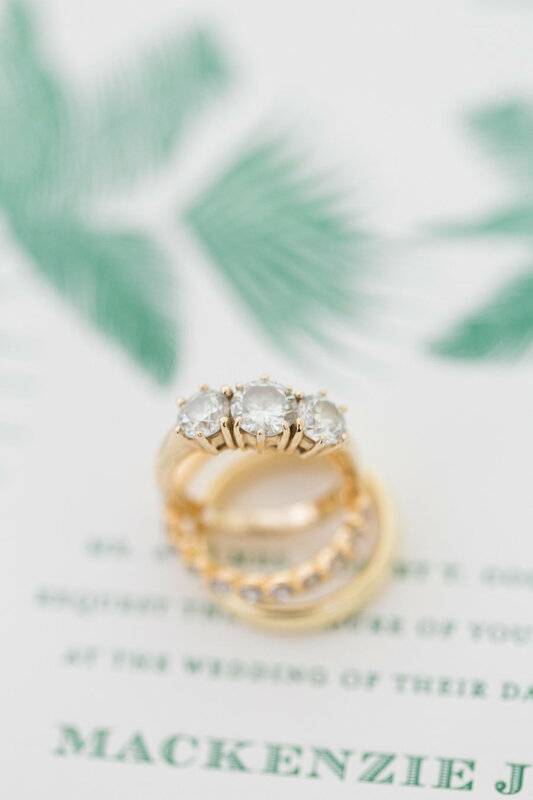 Their photographer, Amalie Orrange, truly captured the essence of their playful, but chic wedding. The photos were recently shared on Style Me Pretty and we feel so honored to have helped this couple on their way to the altar!